2016 is here and our happiness quotient has risen with the announcement of the dates for the California Superbike School to be held in Chennai. 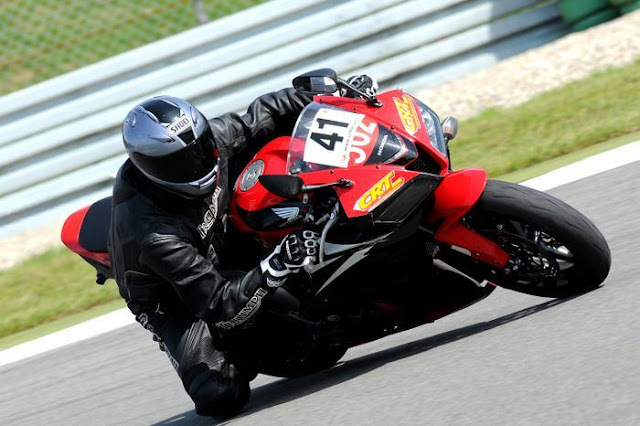 The on-track training suggests that the school is only about going faster, and is better suited for professionals or riders on big motorcycles. But, underneath all the drills are bit-sized lessons that teach you how to gain control of your motorcycle. In our experience the school is the most effective way of improving riders’ ability to ride safer in varied conditions. The three-day school is conducted by experienced trainers from the school’s centres across various countries. For the 2016 edition, trainers will be coming down from CSS UK. The trainers will carefully, but quickly, take students through levels I-III in the safe confines of the Madras Motor Race Track, located on the outskirts of Chennai. The school will initially introduce riding essentials in a classroom and then take students out on the track to put them in practice. Motorcycle-borne coaches keep a close watch on the students to ensure that the curriculum is being followed. Yes, it's that serious. At the end of three days, the results will be just as rewarding. The school is available in two batches – February 5 to 7 and 12 to 14, 2015. Despite the Rs 66,000 price tag we can’t help but recommend the CSS to all riders. It’s a firmware update for the most important component in your world of motorcycling. You.